These days there are many proposed ways to “put one foot in front of the other,” as we go for our daily run or walk. Did you notice the word, proposed? Have you read about barefoot running or have you been to the drugstore lately and stepped on the machine that magically tells you what kind of arch you have? Sorry, but it just doesn’t work that way… I can’t fix the TV when the power goes out. I have no clue how to DVR a show; (I don’t know what that stands for!). But…show me your running shoes and I’ll tell you a story. Our goal at Track Shack is to keep you healthy so you can continue your fitness on the roads. We want to see your feet and do an evaluation of your foot strike, we want to measure your feet and watch for pressure points. It is so important to get the real scoop from people you can trust, people who are athletes and people with common sense. That’s why we’re excited to host six Good Form Running Clinics with one of our trusted vendors and running form expert from New Balance. These are small, intimate events where one gets videotaped running and they analyze your stride. The purpose is to encourage runners to think about good running form to prevent injury. We’ll be doing these once a month through December at Track Shack and the dates will be posted on our Facebook fan page and website. Keeping you injury free is important to us because that is our personal goal as well. Happy runners are happy people. Whether you are training for Disney’s Wine and Dine Half Marathon, thinking of joining our W.R.A.P. program, our beginning walker/running group, or gearing up for this year’s Track Shack Running Series, it is so important to get the real scoop from people you can trust, experienced people with common sense. And your shoes help us, help you. It is the beginning of seeing the whole picture. It is the why in why don’t we sell on-line. We’ve had a slogan at Track Shack for many years, “Keeping Central Florida Fit!” It was a staff project and it was a good experience for all of us to figure out what exactly we want to say to you, our customers. And it is true, so we aren’t changing that but adding a little something to it. 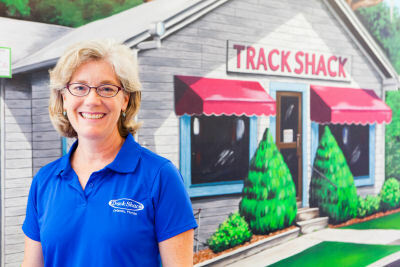 Our new slogan, you’ll see, perfectly describes what we have always set out to do…keep our customers happy and healthy, make their feet feel great; all while making your Track Shack experience a comfortable and fun one. TRACK SHACK, PROVIDING COMMON SENSE AND ADVICE TO ATHLETES SINCE 1977! 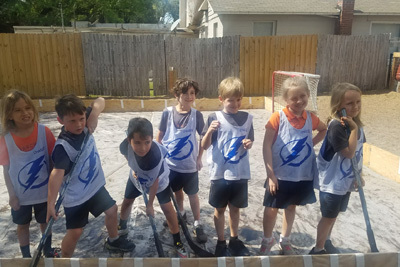 There is so much going on both here in Central Florida and around the state. What are your running and fitness goals? Set your goals now; is a half marathon on your horizon? Have you considered Rock n’ Roll Savannah, Chicago or OUC? 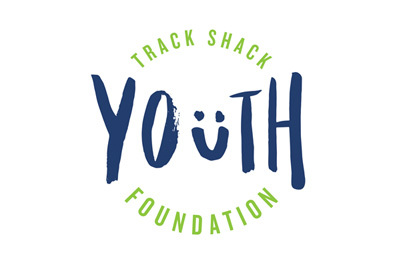 Track Shack’s signature series of races is now called the Track Shack Running Series. It’s our seven race series of 5k, 5.2k 5 mile and 10k events that are connected by the Track Shack name and quality stamp. Just know that you can race, jog or walk in one race or set a goal to complete all seven beginning with the annual Celebration of Running 5k on August 13. 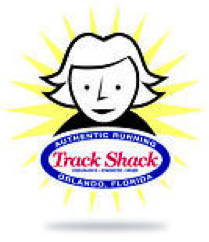 Track Shack will be celebrating 34 years of keeping Central Florida fit that entire week. Imagine the running community in 1977, think short shorts for guys, really short…well, maybe don’t. We have many options to choose from these days, there are events everywhere. We have been so fortunate with the weather this year. Until recently we’ve had some great mornings and could really enjoy our workouts. Now, it is truly time to think about what you eat and drink the day before a long run/walk. The humidity can take so much out of you. Getting light headed after a run is not normal and it is important to understand what works best for you, both in diet and hydration. The store has many nutrition and hydration options such has handheld water bottles or fluid containers you wear around your waist. Come in and let us help figure out what works for you. Be sure to read Track Shack Training Program Coach Susan Paul’s great article on Florida Summertime Running. She offers excellent suggestions for avoiding muscle cramping and some hot weather running tips. Susan was named a Runner’s World Super Coach and is the "Beginner's Only" Blog Expert at Runner's World. We’re fortunate to have her expertise! Remember to use common sense and train properly, in the right footwear, and don’t overdo your training. Just put one foot in front of the other, and use your common sense to stay healthy and happy.